" We don't just pressure wash roofs"
Is your roof covered in Moss, lichens and algae ? Thinking of having a new roof ? 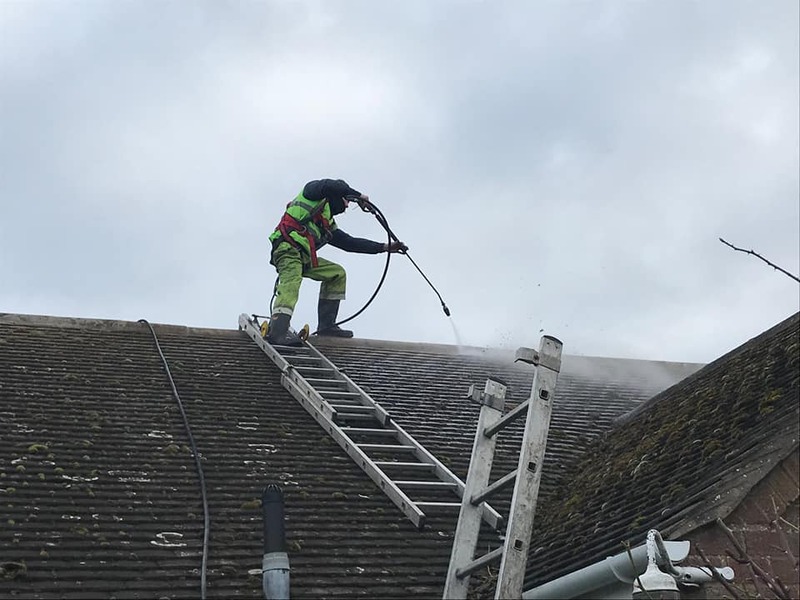 It may be worth looking into have your roof cleaned as an alternative option, not only is cleaning your roof less than half the price of a new roof but also offers many benefits. When people think of roof cleaning they think pressure washing is the only option, this is not the case. 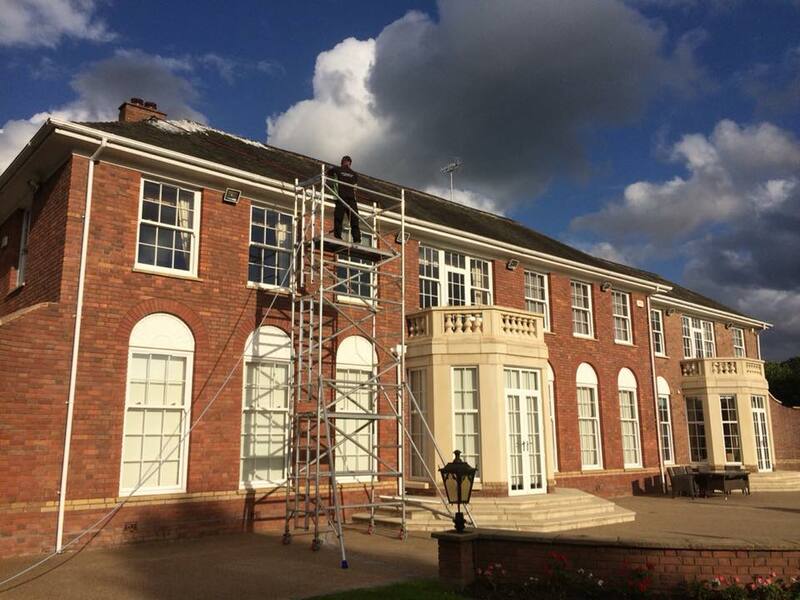 Here at Jetowash Ltd we offer both a soft wash and pressure washing roof cleaning service. ​This is the more simple and cost effective way of cleaning your roof and because of this, it is becoming a lot more popular. Manually remove the moss from the roof tiles using hand held tools. Apply our specialist roofing solution to kill all remaining moss spores, algae and lichens. ​The fungicidal moss treatment we apply not only kills all moss, algae and lichen spores that are on your roof tiles but over a period off time self cleanse the tiles once all biofilm is dead. When done correctly by a professional exterior cleaning company, pressure washing your roof tiles using the correct lances, nozzles, pressure and water flow can give your roof an outstanding instant clean with great results. Unlike our soft washing service which takes many months for the tiles to fully self clean, pressure washing the tiles cleans them instantly. After you homes roof has been pressure washed we can then apply the same fungicidal moss treatment to kill any moss and algae spores aren't visible to the human eye, which in turn prolongs any regrowth that we do on our soft washing option. As with any roof work health and safety is paramount this been the reason a full risk assessment is carried out with every roof clean carried out by Jetowash, this ensures the work is carried out as safely as possible and in the event of a fall we are full secured on the roof. Using harness's attached to both our fall arrest and poisoning ropes along with our portable scaffold tower and roofing ladders its safe to say our roofers are following health and safely guidelines at all times while undertaking your roof clean, by following all health a safety and sticking to strict guidelines this is how we have achieved our Safe Contractor accreditation. While we are up on the roof photos are taken to show the full condition of your homes roof as we understand its hard to see the roof from the ground. If we happen to notice any problems we will advise you of these before any work in undertaken. We are able to carry out minor roof repairs if needed. replace broken tiles, and re-bed any loose ridge tiles/hips and re-point valleys and eaves that may need attention.